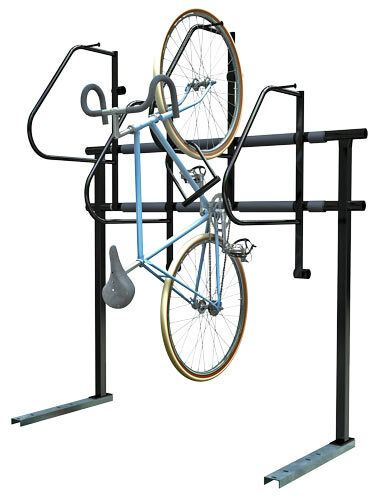 The Ultra Space Saver provides easy and ample space for u-lock security on nearly any bike, including bikes with fenders. Thanks to design enhancements, the double-sided Ultra Space Saver parks more than double the capacity of a standard bike rack. The Ultra Space Saver is an easy to install, modular system. It can be made to fit in nearly any space. Options include: wall-mount, floor-mount, and double-sided. Contact us for a FREE custom room layout.